Witchcraft ties deeply into matters of personal governance and individual control. It addresses, with blood and sweat, the ills of life and society. In the hands of those who won’t sit idle as life just happens to them, it’s a tool for change. 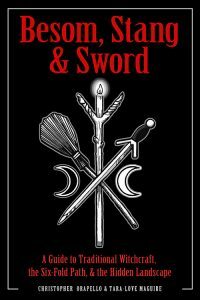 It’s about magick and spells, herbs and spirits, flying and divining. It’s about living in the world, for better or worse. It is raw. It is dirty. It is a skillset, a discipline. It is an art. Witchcraft is dwelling in the woods where people rarely go. It can be found right in your yard, in a nearby park, or in an undefiled and wild land. It is resting in forgotten caves and beneath silent trees. It even dwells in the endless bowels of the city, a living entity all its own. It is basking under the moon at night, breathing slowly beneath the silent stars. Witchcraft is all of these things and it has always been there, waiting to be rediscovered. It is a response to the fears lurking in the darkness and a means to deal with them. It is a weapon. It is a talent. It is an instinct. Witchcraft is not simply about magick; that is why there are sorcerers. 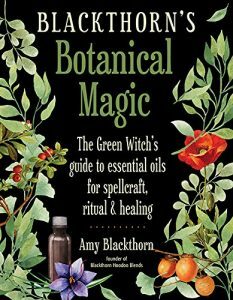 Witchcraft is not just about herbs; that is why there are herbalists. Witchcraft is not only about divination or contacting spirits; that is why there are psychics and mediums. Witchcraft is something wholly, entirely different. It is a lifestyle, a vocation, a liminal space defined by experience. It is a virtual crossroads where several paths meet and create their own space by virtue of their intersection. Witchcraft is a methodology. It is a multifaceted practice that combines several skills and avenues of knowledge. The paths that comprise it sit squarely upon the landscape of history and folklore, individually distinguishable as magick, divination, and herbalism. Magick leads to spells and exerting your will upon the cosmos to influence desired changes and effects. Divination is the act and process of divine seeing or foretelling the future. Herbalism is the knowledge and application of herbs for medicinal, culinary, and ritual use. The combination and interplay of these three streams of knowledge enable other practices like seership, soul flight, and necromancy to take shape. It is only when these various practices are blended together that witchcraft emerges as a distinct practice that uniquely combines history and folklore, magick, divination, herbalism, hedgewitchery, and necromancy into a unifying system that we refer to collectively as the Six-Fold Path. Magick, divining, working with and growing herbs, having visions, flying out of the body, and consorting with ghosts of the dead. Witchcraft is all of these things. It consists of no religion or dogma. It has no need for clergy. It worships no deities. It celebrates no intrinsically holy days. Witchcraft is a practice that is focused on successful function, rather than being beholden to the aesthetics, symbols, and affectations of 19th-century occultism. Witchcraft is secular and filthy—dirty, figuratively and literally. There will be times when you walk through your everyday life bearing the stains of some working you’ve performed. The evidence may be anything—the faint scent of scrying incense in your hair, a smudge of charcoal on your cheek, dirt under your fingernails. You will look at these traces of your craft and only you will know what they represent. And that knowledge will give you strength, a secret shield. You will look at them and think to yourself: I did that. And your face will flush briefly from the power of that knowledge. Your power. Christopher Orapello is an artist, witch, and animist with a background in Western occultism, ceremonial magick, and Freemasonry and has been on his journey for over 20 years. He cohosts the podcast Down at the Crossroads with his partner, Tara Maguire, and is a signature artist with Sacred Source, a leading producer and distributor of ancient deity images in North America. After a growing desire for a more locally based form of witchcraft, he and Tara founded the Blacktree Coven in 2014 and set out to forge a modern approach to traditional witchcraft for a new era of praxis. Adapted, and reprinted with permission from Weiser Books, an imprint of Red Wheel/Weiser, BESOM, STANG & SWORD by Christopher Orapello and Tara-Love Maguire is available wherever books and ebooks are sold or directly from the publisher at www.redwheelweiser.com or 800-423-7087. 1. What first drew you to magical practices? In the mid-nineties I was doing research for a storytelling project. I’d decided a character was going to be a modern witch, but I had no idea what that might entail, let alone in an urban setting the way I was planning. So I found a local metaphysical bookstore and browsed the shelves. It only took about ten minutes to realize that all these ideas I was seeing really resonated deeply with me. And I’ve never looked back, only gone deeper! 2. Your latest book, “The House Witch”, focuses on hearthcraft. What is it? I define it as the recognition and celebration of the home as sacred space, and magic that focuses specifically on the home. 3. How does it differ from kitchen witchery? I feel kitchen witchery is focused on practical magic done within the kitchen itself, associated with food and herbal-based energy. There’s absolutely an element of that within hearthcraft, and kitchen witchery is certainly an aspect of hearthcraft practice, but hearthcraft goes beyond kitchen magic to encompass the energies of the entire home, the people living in it, the land around it, and honoring the spiritual aspect of all those things and how they interact. It specifically focuses on the home and living space. 4. What’s the most magical room in your home? This is going to sound cliched, but whatever room I’m in at the moment. We work hard to make sure the energies in all the rooms of my house are welcoming and supportive. We tweak things a lot here; it’s an ongoing process, because we feel that the space should respond to our needs as we should respond to the needs of the space. It’s a dynamic relationship, always active and shifting. There are two places I gravitate to, though. One room is the living room, the main room of the house. It has our family altar in it, as well as lots of original art. My biggest spinning wheel lives there, as does the stereo and my CDs (music is a huge part of my life). The second is my office, which is in the lovely attic my husband built. It’s airy and light, and I have one of my smaller spinning wheels up there, an upholstered rocking chair, lots of books, my desk, my cello, all my spinning fibre… it’s where I do my yoga and my meditation, as well as write my books. I have inspirational quotes and pins and art all around me there. It’s lovely. The cats seem to like it, and my kids often end up here as well. 5. If you could change anything about your house, what would it be? I would have a fireplace! Or possibly my bedroom would be bigger and not in the basement. 6. You wrote “The House Witch”, “The Green Witch” (that focuses on herbs, flowers, etc. 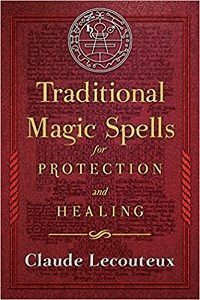 ), “Protection Spells”, and more. How do you incorporate all this magic into your daily life? I don’t make a big defined effort to inject or impose magical activity. For me, it’s part of living, part of the everyday, so I don’t work to incorporate it; it grows out of my daily life. 7. People may not be aware, but you’re Canadian. Do you find the witch culture in Canada differs from other countries? That’s a hard question to answer, because I don’t spend enough time in other countries to make a valid observation. I can say that where I live, things are pretty laid back. There’s a solid Pagan community here, with a core of people who facilitate activities. I live in Quebec, so we have the added bonus of anglophone/francophone communities offering different activities for the community to share. On a practical level, we have weather that is unfavourable to outdoor meetings a lot of the time, so our rituals tend to take place indoors perhaps more often than in other places. On the other hand, with such markedly different seasons, we get to fully immerse ourselves in the energies of seasonal change. I did write it! I started working with the AC team in Montreal a few years ago when Assassin’s Creed Syndicate was being made. They were looking for a copyeditor to help synthesize the writing styles and material coming in from the different Ubisoft studios working on the project. I had done work for Ubisoft about ten years before, and a good friend on the writing team for Syndicate said “Hey, I know a terrific editor!” The brand team liked what I did enough to call me back for other AC-associated editorial work, and then the idea of writing the Essential Guide came up. I do a lot of writing work centered on the AC brand now. I love working with them; they’re terrific people. 9. 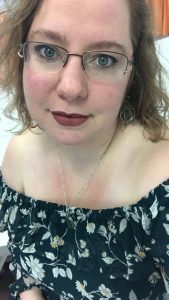 Do you have any upcoming projects my readers can look out for? 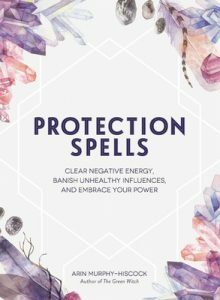 Protection Spells was my first new book in a long time, and it’s been good to slip back into writing New Age and witchcraft topics. In December 2018 my new book The Witch’s Book of Self-Care is coming out, and it’s a project that is very close to my heart! Ironically, I was juggling a zillion things when I was asked to write it, and I had to weigh the pros and cons before accepting the offer. In the end I decided putting the book out there was important enough to short my own self-care for a while; I ended up working two full-time jobs as well as single-parenting my kids while my husband was out of town for two months to hit the deadline. I absolutely made the right decision, because I think the topic of self-care is really important in general, but it certainly had repercussions. Part of self-care is knowing and accepting the consequences of something, and going into a situation with your eyes open and with all the facts. I did that, and I’m not sorry. I’m still handling the long-term healing, that’s all. After that one, there are a couple more new editions coming out! One of them is The Hidden Meaning of Birds, a revision of another book that is close to my heart. I’m thrilled it’s going to find new readership. And there are more projects coming down the pipe… in fact, I’m scribbling notes for a new project I plan to propose to the editorial team sometime in January! How do you define self care? Do you do enough of it? In what ways could you take better care of your energy? I suppose I define self care as taking time for yourself. I think most people assume restful activity, but I feel that if it’s something you enjoy and makes you happy, carving out time to indulge in the activity counts as self care. It’s hard to say how I could better take care of my energy. I suffer from chronic migraines and small fiber neuropathy. It’s pretty draining so I spend a lot of time sleeping on our sofa. It doesn’t really feel like self care, because it’s almost like I don’t have no say in the matter. I almost feel like the times I force myself to go out and see friends is more like self care. However draining it may be. 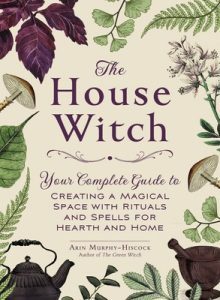 Arin Murphy-Hiscock is the author of “The Way of the Green Witch”, “The Green Witch”, “The Way of the Hedge Witch”, “Pagan Pregnancy”, “Power Spellcraft for Life”, “Solitary Wicca for Life”, and “The Hidden Meaning of Birds: A Spiritual Field Guide”. She has been active in the field of alternative spirituality for over twenty years, and lives in Montreal, Canada. 1. 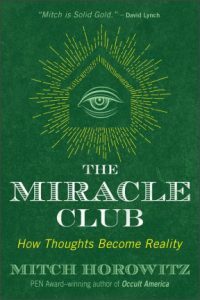 Your latest book is “The Miracle Club: How Thoughts Become Reality”, so let’s address the 30 million copy selling elephant in the room. How does your book differ from “The Secret” by Rhonda Byrne? I applaud Rhonda’s achievements but her book leaves unsettled the real elephant in the room—which is the persistence of tragedy and catastrophe; what happens when mind-power methods appear not to work; and a theory of why thoughts makes things happen. The Miracle Club is, I hope, a complete journey into all facets of the seeker’s experience. It revives the serious and critical interpretation of New Thought methods that I think we haven’t seen since the death of William James in 1910. 2. What sparked your interest in New Thought? 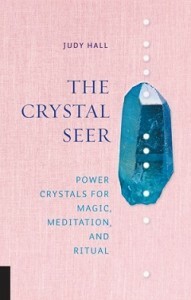 I came to realize at a certain point in my life, even as I couldn’t always admit it to myself, that my spiritual search is really a search for personal power and agency; I yearned for a spirituality that was, above all, practical and actionable. Some people may be turned off by that, and may feel that I’ve entirely missed the point of the search. But I submit that this is what most of us are after, regardless of what we tell ourselves. New Thought meets the seeker in that place, while also holding to ethical standards. 3. Do you feel like there is a convenient excuse of victim blaming in positive thought circles? Like the chronic pain sufferer who doesn’t experience improvement, they just didn’t want it enough? Although there isn’t as much “victim blaming” in New Thought circles as critics suppose (often critics who have never attended a single church service or read their way through a New Thought book), some of this does persist. There’s no denying it. My contention is that we live under many laws and forces, of which the mind is one vital part. New Thoughters need to use this idea to develop a theology of suffering, which is something we’ve never fully done. This is increasingly important today as people are dealing with end-of-life issues that weren’t as prevalent at the movement’s founding more than a century ago. 4. You discuss the importance of establishing a moral code before undertaking positive thought work. Why is that? It’s very easy to fall into an attitude of soft hedonism when using New Thought methods. I’ve done it myself. In order to go through life in a manner that is nonviolent—by which I mean not violating other people’s ability to pursue their own highest aims—it is vital to have some code of honor or ethical or religious teaching at your back. This is one area in which New Thought excels because it stands on gospel ethics. 5. In your book you describe the hypnagogic state, something I’ve never encountered before. Can you explain what it is for my readers and its importance in New Thought? This is the extremely relaxed state that we all enter just before drifting off to sleep at night or when coming to in the morning. It is a state of mind that can seem dreamy and hallucinogenic, yet one in which we remain cognizant and able to direct our attention. Both sleep researchers and psychical experimenters have discovered that the mind is extremely supple, suggestible, and sensitive at such times. This is a natural state in which to use affirmations, visualizations, intentions, and prayers. It is a time when you can impress your subconscious mind with an idea, so to speak. In The Miracle Club I maintain that it is also “prime time” in which episodes of extra-physicality have been found to occur, such as mind-to-mind communication or telepathy. This is not fantasy. It is a cycle that comes to all of us naturally, and it can be used. 6. If I recall correctly, didn’t President Trump come up through a prosperity ministry, a branch of the positive thought family tree? Can we attribute any of his success/survival to this? 7. Is it possible for someone to be using the power of positive thought without training or structure, just through their own force of will? Absolutely. The poet William Blake did this. Figures throughout history realized organically that thought possesses causative dimensions, and acted on this without naming or devising a system. Blake famously wrote that if “the doors of perception were cleansed” we could see life in its infinitude. That statement more or less captures the theology of Mary Baker Eddy, the founder of Christian Science. 8. When you’re not busy thinking positively, what do you do with your time? I wish I were always busy thinking positively! I came to this philosophy because I am not a positive thinker by nature, so it’s a real challenge for me. But mostly I raise my two boys, ages 11 and 14, I write, I bike and exercise, and I hang with people I love. I watch very little TV (with the exception of Rachel Maddow and Better Call Saul). I do like to hang with close friends, eat a bit, and imbibe nature’s pleasures. 9. What’s next? Do you have an upcoming projects my readers can look forward to? One of the projects I’m excited about is a movie version of the occult book The Kybalion, which I’m working on with my friend Ronni Thomas, a brilliant director whose work has been featured at the Tribeca Film Festival and who is known, among other things, for the digital series Midnight Archive. Ronni and I are making a documentary-style feature about this book, exploring its historical backstory and illuminating its principles. Parting shot! Ask us here at The Magical Buffet any one question? It is same the question I ask myself: What do you want? I always tell people who asked me this that I want world peace and a body like Cindy Crawford’s. And that is as true today as when I said it in junior high school. However given the nature of your book, I’m going to tell you what I really want (what I really, really want) (the Spice Girls cannot be denied). I’d like to make a comfortable living doing The Magical Buffet, which is getting to share all the great books, products, and people I enjoy with everyone else. Mitch Horowitz is a PEN Award-winning historian, longtime publishing executive, and a leading New Thought commentator with bylines in The New York Times, Time, Politico, Salon, and The Wall Street Journal and media appearances on Dateline NBC, CBS Sunday Morning, All Things Considered, and Coast to Coast AM. 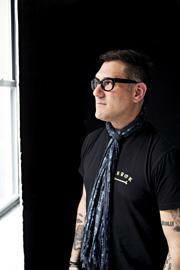 He is the author of several books, including Occult America and One Simple Idea. He lives in New York City. Visit him at https://mitchhorowitz.com/. 1. Believe it or not, you and I talked all the way back in 2009 about your book “Politics and the Occult.” How does your new book, “Dark Star Rising: Magick and Power in the Age of Trump” differ from that earlier work? In Politics and the Occult, along with giving an overview of the relation between the two in the modern world, I also wanted to show that the association of occultism and far-right politics, which has become a kind of cliche, is not as necessary or exclusive as writers like Umberto Eco believed, and that there is plenty of evidence for what we can call a ‘progressive’ occult politics. Dark Star Rising is different, first because I am writing about current events – it’s a work of journalism to some degree, or ‘history in the making’ – but also because in it I am looking at what seems to be a rise of a form of occult politics in the alternative-right, both in the United States and in Russia. So in Dark Star Rising I am looking at some occult politics that seem to be happening on the right, here and now. 2. You draw a fairly direct line from New Thought to branches of Christianity (particularly Prosperity preachers) to Chaos Magick. Do you think any of these groups acknowledge their similarities and lineage? One of the things that struck me as very interesting was that in terms of technique, theory, practice, and aim, there seems to be much in common between New Thought or positive thinking and chaos magic. You wouldn’t think that Norman Vincent Peale and Austin Osman Spare had a lot in common, but in some fundamentals they do. I recognized this when following up the idea that the alt-right had used ‘meme magic’ – via Pepe the Frog – to put Trump into office. Meme magic – using the internet as a way of making things happen in the real world – is an offshoot of chaos magic. Chaos magic differs from traditional magic in that it does not depend on the traditional methods and appurtenances, such as the circle, wand, sword, spells, etc. Instead it relies on the magician’s initiative, creativity, imagination, and will. Chaos magicians use whatever is at hand, rather in the manner of an objet trouve, or found art, when some ordinary item is taken out of context, placed in another, and called ‘art’. What is most at hand today is the internet and the memes that propagate on it. The idea is that Pepe became a kind of hyper-sigil, or magical symbol or spell, and by saturating the internet with images of him, the people behind this believed they could affect the outcome of the election. And it seemed it did – Trump won. This was why Richard Spencer claimed that “we” – the Pepeists of the alt-right – “willed” him into office. So in answer to your question, no, I don’t think that,say, people following the prosperity gospel know that in some basic way, what they are about is not very different from what a chaos magician may get up to. Some of the more Christian of them would most likely be appalled. In fact many Christian thinkers were appalled by Peale because of the links between positive thinking and more outright occult forms of New Thought, which Peale read and which he translated into a more palatable form. And I should point out that I’m not saying that there is a direct line in any historical sense, between positive thinking and chaos magic, but that what we can call the phenomenology of the magic involved is similar. 3. Are these things, such as New Thought, etc. inherently “bad”? By asking if New Thought is bad, you have to decide in what sense you are asking this. If you dismiss the idea that New Thought can work, then what’s bad about it is that it is false and, like other scams, can harm people who get involved with it. But if you accept the basic premise that the mind, consciousness, in some way that we do not fully understand, is an active agent in the world and can affect it – that “thoughts are things” – then we enter a different area. This is where the notion of a responsibility of the imagination – as Owen Barfield called it – comes in. And this is something that practically all esoteric, spiritual, what have you traditions make clear. So if it is the case that, unlike Vegas, what happens in the mind doesn’t necessarily stay there, then it becomes rather important to be aware of what’s happening in the mind. Of course, from our rational, scientific perspective, this is nonsense. But as I say in the book, it is precisely this perspective that is being, or has been, undermined in our post-truth, alternative fact world – which is itself the result of a process that started early in the last century. The partitions separating what is possible from what is not are thin, just as the membranes separating fact from fiction, truth from falsehood, reality and fantasy, are dissolving. I’d say we have a responsibility now to be aware of this. 4. “Dark Star” is quite informative for those unfamiliar with Chaos Magick. Would you mind giving my readers a brief description of what Chaos Magick is? I think I’ve given that in 2. 5. So, is the alt-right filled with unintentional magick users? 6. Several magick groups have been supporting and promoting group rituals to counter the effects of a Trump presidency. Do you think these can have any effect? I know that the global “binding spell” cast to impede Trump and all those who abet him, goes on, and that there are other forms of what’s being called the “magical resistance.” Will it help? That is usually the first thing people ask. But as realistic magicians know, there are always many different forces at work, and what needs to be aimed it is, as I mention above, a “realizable wish” or ” achievable reality.” Which means, ironically enough, don’t expect miracles. But the idea of magical political opposition has been around for a long time. That was one of the points of Politics and the Occult – that the two are not as strange bedfellows as we might at first think. Did the witches put a monkey wrench into Trump’s first shot at the travel ban? 7. With such a fast-changing Presidential administration, and the inherently slower pace of writing and publishing a book, how much has changed between writing the book and now? Will you consider a book with timely subject matter again? The main change since writing the book has been Steve Bannon’s exit from Trump’s inner circle. I finished the book last August. A lot happens very quickly these days – that, as we all know by now, is the fluid character of our time – and not long after I delivered it I knew that some of it would be old news by the time it appeared. I was able to add a short note at the end to say precisely this. But as I say above, this is ‘history in the making’. It struck me, as I’m sure it did other people, that with Trump’s election, something very different had taken place. In the book I say that in one sense we can see this as the singularity people have been waiting for for awhile now. A singularity is an event in which our usual, normal ideas about reality breakdown, or at least no longer apply. It strikes me that this is precisely what has happened, and we have our post-truth, alternative fact world to show for it. A world in which there is very little difference between reality and its electronic representation. This too is the result of a process that got going more than a century ago. We are feeling the effect of what I call “trickle down metaphysics.” The post-everything world is the outcome of the nihilism that the philosopher Nietzsche saw was irrevocably on its way back in the 1880s. The relativity of all values that we welcome as a liberation from the dominance of western rationality, is exactly what Nietzsche said was coming. To see this happening is disturbing but also thrilling. History has caught up to us. In fact I am working on a follow up book about Russia but I can’t say more than that now. 8. In the mid-nineties you moved from the U.S. to London. How do think America and Britain compare when it comes to politics and magick? I think Americans believe in the possibility of political change – or at least used to – more than Brits, but the Brits have a longer tradition of magic. But when Americans do occult politics, they do it up right. In October 1966, during the anti-Viet Nam War march on Washington, Abbie Hoffman and Allen Ginsburg tried to levitate the Pentagon, while the filmmaker and magician Kenneth Anger tried to exorcise it. The Brits are mostly just worried about Freemasons. 9. Do you have any upcoming projects that you can share with my readers? What do you think? New Thought, positive thinking, chaos magic – do they work? Indeed I do. You see the power of the placebo effect and you learn that the human mind is capable of pretty amazing things. Gary Lachman is the author of many books on consciousness, culture, and the Western esoteric tradition, including “Rudolf Steiner: An Introduction to His Life and Work”, “A Secret History of Consciousness”, and “Politics and the Occult”. He writes for several journals in the US and UK and lectures on his work in the US and Europe. His books have been translated into more than a dozen languages, and he has appeared in several radio and television documentaries. A founding member of the rock group Blondie, Lachman was inducted into the Rock & Roll Hall of Fame in 2006. Are you still reading? Congratulations because you’re about to learn about our giveaway! 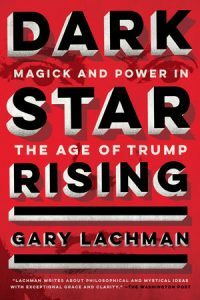 That’s right, the kind folks at TarcherPerigee gave me an extra copy of Lachman’s new book “Dark Star Rising: Magick and Power in the Age of Trump” to give to one lucky reader! The giveaway will end Sunday, June 3rd at 11:59pm Eastern. Must be 18 years or older to enter. Open to international readers. Do you guys remember when I shared “Astrologically Inspired Cocktails”? Well it turns out an astrology website in Australia did and reached out to me. They were like, hey, that’s a fun little infographic you shared. We’ve got one about astrology in different cultures, are you interested? Duh, of course I was and here we are. So a big thank you to the folks at Astrology.com.au for the cool looking infographic to share! You should check out the full article on their site! You may remember when I wrote about “Human Tribe” I suggested that perhaps it’s my nosy nature but I’m always curious about people. 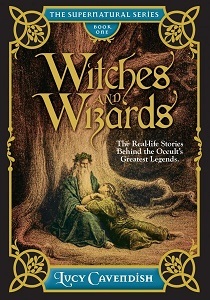 Let me add that I’m particularly interested in the lives of historic magical practitioners, which is why when offered the chance to read “Witches and Wizards: The Real-life Stories Behind the Occult’s Greatest Legends” by Lucy Cavendish I jumped at the chance. Let me start with, any of the subjects in “Witches and Wizards” is worthy of a whole book unto themselves. Many of them do have whole books dedicated to them! However something about the mix of types and eras makes for an interesting “big picture” look at magical practitioners that shaped our world. Inside you’ll read about Merlin, Aleister Crowley, Doreen Valiente, John Dee, the witches (or not witches) of Salem, Massachusetts and of course more. I hate to sound like a total book nerd, but I also love the physical format of the book too. It’s small, hardcover with no slip cover, just a cover with beautiful cover art on it. This book is going to last, and better still it says, “The Supernatural Series Book One” at the top. This hopefully means I can look forward to a shelf full of these attractive and interesting books. You can learn more about “Witches and Wizards” here.